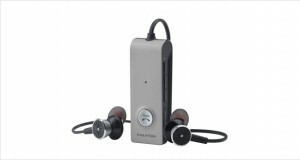 Sony is one of those brands that are no stranger to all categories of headphones available in the market today. They are the makers of the best over ear headphones as well as one of the best noise cancelling headphones in the world today. The combined might can easily take on quite a number of competitors at the same time across categories. So what is it that we are looking at today? Today we are looking at the Sony MDR-NC500D headphones. The MDR series by Sony is known to be a premier upscale line of headphones aimed at the audio enthusiast with deep pockets. The MDR-NC500D is pretty much squarely summed up by that definition. These are enthusiast headphones with great noise cancelling technology, lovely construction; digital equalizer features and cost a minor bombshell. The sound quality is quite excellent as well for a pair of cans in this segment – with chirpy highs and enveloping mids – but the low range frequency response is not as rumbly as we would like, and these cans cannot get away by saying that they are studio monitors – they ain’t; they are built for frequent fliers who like some peace and quiet while they go into their Zen zone with the headphones on. 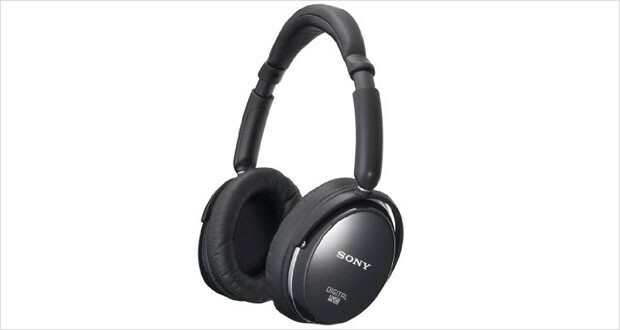 The Sony MDR-NC500D headphones have the austere and iconic design of Sony headphones. Made of hard plastic with some heft and strange head band design, these have a premier make without making too much of a fuss about it. 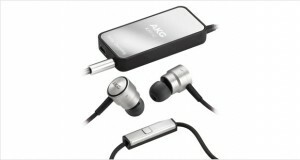 The entire assembly is quite comfortable on the head – if a little heavy like any active noise cancelling headphones. 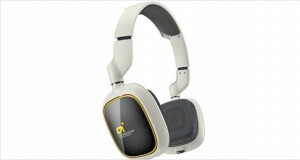 Dimensions18 x 8.7 x 11.5"
Understated Sony build quality; these ‘phones do not rely on metal to look fierce and rugged. These headphones are mostly for listening to music during travel – they fold away and can withstand a little bit of hard use. The headband is a little too tight for people with large heads – this can prove to be quite uncomfortable . Sparkly, chirpy highs that shine with classical music. Excellent mids that define vocal and acoustic music very well. Sparse and shallow low range response that still is enough to get some beats going. Unsurpassed noise reduction – Sony has leveraged its expertise quite well. The MDR-NC500D is a star performer for those long flights; just do not expect studio-monitor quality sounds. The Sony MDR-NC500D is an excellent piece of headgear for those who like travelling in their own worlds. Putting these cans on allow you to shut down the world around you and go to your happy place. This comes at a price, however, but it is justified considering quite a number of those trips are long and having a noisy neighbour is the recipe for disaster as you disembark.